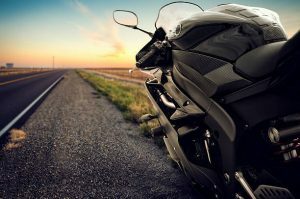 Motorcycles have been featured in some of the most iconic movies of the last century. Even when searching the Internet Movie Database, a person will struggle to find any topic related to the site that does not feature these vehicles in some way. Perhaps the most well-known motorcycle movie of all time is Easy Rider. The film stars Dennis Hopper and Peter Fonda as two outlaws who take to the road on a set of customised choppers. We get to walk in the shoes of these characters as they explore the US.The bikes are used to symbolise the freedom that comes with riding them. The two men often encounter characters who are stuck in their own circumstances. The vehicles allow the pair to escape this monotony and travel wherever they please. Eventually they cross paths with those who oppose the freedom that the two represent with tragic results. 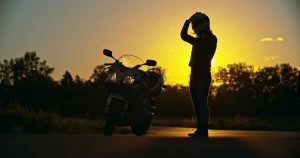 The movie remains the quintessential motorcycle movie. Steve McQueen also helped to create an iconic image on a bike in one memorable scene of The Great Escape. It tells the real-life tale of a group of P’s.O.W’s who attempt a mass break out of a German prison. McQueen’s character manages to get past the barbed wire and eventually finds himself a Triumph TR-6 Trophy 650CC. He rides this bike while being pursued by a large group of soldiers. Famously the actor did all his own riding stunts for the sequence. It remains one of the most famous screen depictions of a motorbike in all of cinema. There is arguably no other screen hero is as well known as the iconic adventurer Indiana Jones. It speaks to the universal appeal of motorbikes that this character rides one for a large portion of the third film. In Indiana Jones and the Last Crusade Harrison Ford’s fedora wearing hero gets to travel across a desert plain on a Harley Davidson Softail Springer. During an elaborate chase scene, he must help his father (played by Sean Connery) escape while riding this motorcycle. It is interesting to note that the most well-known motorbikes in US cinema are predominantly produced by the Harley Davidson company. This is no coincidence. This company has strong culture ties to the history of the vehicle. During the late 1940’s a strong community grew around Harley Davidson bikes. There has for decades been a strong reverence for their strong, heavy and bulky design. They have become a symbol of individuality and personal freedom as well as biker brotherhood. The Wild One starring Marlon Brando helped to spark Hollywood’s obsession with this type of bike. Over 60 years later they are still producing movies that pay homage to America’s favourite motorcycle company. 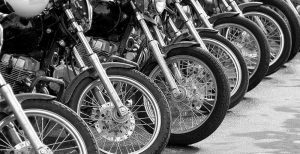 This trend is likely to continue even as Harley Davidson struggles to cope with increasing financial pressures.